Melancholic Smile's performance had completely surpa.s.sed Youlan's expectations. Her firm rejection was even more unusual. "Miss Melancholic, I believe we have a misunderstanding," Youlan said after calming down. "Overwhelming Smile is not here to seek cooperation, but to invest. I believe that Miss Melancholic knows about Overwhelming Smile's financial prowess. With our help, the Candlelight Trading Firm will have no issues obtaining materials or funding. "At the end of the day, Candlelight is not a Combat Guild, so its development is limited; it is restricted by the city. Candlelight might become White River City's number one trading firm, but you can't just remain in one city and not branch out to others, right? After all, White River City's player population is not infinite, and you can only earn so much. "I admit that Candlelight is very wealthy. However, purchasing golden Lands in other cities requires sufficient Reputation Points there. Meanwhile, how can Candlelight hope to compete with the Guilds that have been developing in said cities since the very beginning? By the time Candlelight's personnel gains sufficient Reputation in other cities, other Guilds will have long since purchased the best plots of Land available. "However, after we invest in Candlelight, the trading firm will not face such a restriction. Overwhelming Smile has plenty of personnel in other major cities, including the several cities neighboring White River City. As long as we have enough Gold, we can purchase the most valuable Land in every city throughout Star-Moon Kingdom and establish the Candlelight Trading Firm all over the kingdom, saving you a lot of time and manpower. "Is Miss Melancholic really not interested in such an opportunity?" Youlan spoke confidently as she offered the attractive conditions. She had also hit the nail on the head by pointing out the Candlelight Trading Firm's weakness. Meanwhile, the fact that Youlan was able to make such a statement so confidently was all because of Overwhelming Smile's backer, Underworld. This was a feat that no other Guild could ever accomplish, even first-rate Guilds. Youlan's offer sorely tempted the other managers of the Guilds in the reception room. Only, they were somewhat disappointed that the Candlelight Trading Firm would no longer be theirs. They could already imagine the Candlelight Trading Firm's flourishing future. One side had the advantage of manpower and resources, while the other had Coins and popular Shops. The cooperation between the two was practically a match made in heaven. Youlan really is amazing. It's as expected of someone fancied by Underworld's elders. Feng Xuanyang, who had initially been overwhelmed by his rage, silently praised Youlan as he listened to the woman. He snuck a peek at Melancholic Smile from the corner of his eyes, his heart filled with joy when he saw her silence. At this moment, Melancholic Smile opened her mouth and spoke, "Your conditions are tempting, but you may leave now. Everyone else, you have thirty minutes left to consider our offer. If you do not wish to cooperate, you may leave. I have other matters to attend to, so I won't accompany you any longer." "Is she really not tempted?" Youlan was stunned. Melancholic Smile had displayed her might, killing the chicken to scare the monkeys. They just so happened to be that "chicken." Feng Xuanyang had also realized their situation. This had all been due to him voicing his rejection, becoming Melancholic Smile's target as a result. Despite this revelation angering him greatly, regret filled his heart. Just why had he been so eager to shoot off his mouth? "It seems that we can only hasten our own firm's establishment," Youlan sighed. Things were becoming much more troublesome than she had initially expected. However, the Candlelight Trading Firm had also given her a reminder. "I have heard that Maple City's branch almost has enough Reputation. We might as well develop our trade in Maple City. Moreover, the Lands there are much cheaper. If we form an alliance with the other cities to target the Candlelight Trading Firm, sooner or later, we can defeat it as well." "Okay, leave that to me." At this moment, murderous intent filled Feng Xuanyang's eyes. Watching Melancholic Smile's departing figure, he revealed a sinister smile as he said, "Though the trading firm itself is unwilling to cooperate, I refuse to believe that every worker is of the same opinion. I'll poach every single one of Candlelight's forgers. We'll see how long Candlelight lasts, then." If a trading firm did not have a supply of goods, customers naturally would not visit it. It would be useless even if the trading firm occupied one of the city's golden Lands. The fact that the Candlelight Trading Firm had become White River City's number one trading firm so quickly was completely due to the Basic Strengthened Armor Kits. Otherwise, how could it possibly surpa.s.s the Starstreak Trading Firm? The Twin Tower Highlands was a Level 45 to Level 50 map. It could be considered a country within a country. Unlike the monsters in low-level maps, the monsters here were mostly intelligent Orcs that fought and lived in tribes. If players were not careful, rather than hunting their prey, they very well might become prey themselves. To G.o.d's Domain's current players, the Twin Tower Highlands was definitely a forbidden land. Aside from the level suppression, the difference in Attributes was already quite vast. However, Shi Feng did not care about any of that. His own Attributes had long since surpa.s.sed the standards of the current players. It was especially true after he had equipped the Fragmented Legendary ranked Heavenly Dragon's Breath. In terms of Attributes, he could easily match Level 40 ordinary players. Tall ramparts surrounded the ma.s.sive Towers of Death. An army of Orcs patrolled the walls. Overall, the Towers of Death look like an impregnable fortress. killing the chicken to scare the monkeys: Chinese idiom that gives the meaning of - to punish an individual as an example to others. 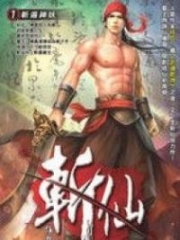 You're Read Reincarnation Of The Strongest Sword God Chapter 506 online at NovelOnlineFull.com. You can use the follow function to bookmark your favorite novel ( Only for registered users ). If you find any errors ( can't read,broken links, can't load photos, etc.. ), Please let us know so we can fix it as soon as possible. And when you start a conversation or debate about a certain topic with other people, please do not offend them just because you don't like their opinions. You're reading Reincarnation Of The Strongest Sword God. This manga has been translated by Updating. Author(s): Lucky Cat. Already has 3853 views. Current Time is 19-Apr-2019 01:14:38 AM.